Being a metaphor for Internet, Cloud is helping in scaling businesses while providing perfect platform to store and access big data that was earlier being done on computer’s hard drive. It has the power to empower enterprises simply by improving their technological infrastructure and reducing costs with standardized platforms and effective resource management. In order to leverage the benefits of cloud-based services, enterprises are focussing on organizational flexibility and scalability to transform cloud as a development tool. It is very important for the organization to understand and analyse the potential of both the internal cloud services and external cloud services. 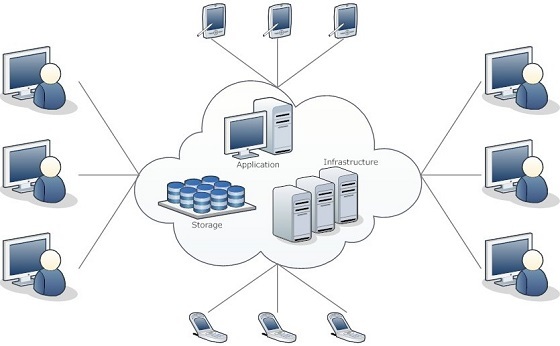 Technology infrastructure services are just one step ahead if enterprises adopt cloud computing based service model i.e. IaaS (Infrastructure-as-a-Service) which subsequently let the organizations provision on-demand CPU, storage, networks, and other computing resources from a provider. This subsequently allows businesses to focus more on business operations instead of running and maintaining the software and other technology based data storage tools. Cloud computing can provide you leading CRM tools, accounting and project management applications to help manage data and refresh your infrastructure. An organization must consider the highlights of each cloud-sourcing model that basically includes Public Cloud infrastructure and Private Cloud infrastructure. Public Cloud infrastructure requires services around integrating the public infrastructure with the enterprise infrastructure, and it leads to immediate reduction in need for infrastructure management services by the enterprise. On the other hand, Private Cloud infrastructure requires service providers with expertise in implementing complex cloud architectures which must be sourced externally if it’s not present internally. Its successful implementation results to a more automated infrastructure and application backbone in an enterprise to emerge as a technologically well-equipped one in the marketplace. Cloud sourcing is continuously challenging the traditional IT sourcing status quo, and it is expected to gain long-term benefits by eliminating the risks associated with it such as Data security, Cloud hacking, Capital and operational expenditure implications, Governance model for multiple-sourcing relationship etc. Eliminating such risks will create a roadmap for the best technology infrastructure any small, medium or large organization can take advantage of with great utilization. IT organization must lay emphasis on generating more demands while developing business requirements and the CIOs must ensure that the organization is able to cater to the fast growing technology and security based requirements while establishing cloud-sourcing guiding principles. Cloud based services not only improve accessibility which is a major concern for the users but also save you at the time of crisis by cloud-based backups as data is something what actually matters. Data security is the key for the development of any organization and storing your organization’s confidential information in cloud is far better than storing the same on your local network. Cost-saving is also a common reason why most of the organizations are adopting cloud by replacing their existing client/server software with a cloud-based solution and decommissioning the legacy server environment. It offers reduction in costs to a great extent by not only saving energy as well as money but also manpower that was earlier required to support the servers. Cloud computing has the potential for rapid deployment of a new software which can be achieved easily and at a faster pace. It improves the working capabilities of the organization while developing new ways to transform conventional technology tools. CIOs should take a thoughtful and positive approach to facilitate their organization’s journey to the cloud while strategically working on how to meet business infrastructure requirements while leveraging the potential of cloud. Organization’s cloud-governance model is the key to lead among its competitors and it should be given enough importance to create a more robust and structured model that leads to cost reduction. Cloud service providers should present the cloud-based solutions for the IT organizations that can subsequently allow them to avail cloud sourcing for their complex and large volume IT services. With tremendous innovation and development in Cloud Computing and Infrastructure Services, it has become possible for the IT ecosystem to explore the benefits that latest cloud technologies and practices are bringing right at its doorstep. IT organizations can simplify architecture and make it even better while integrating business policies with infrastructure management policies. 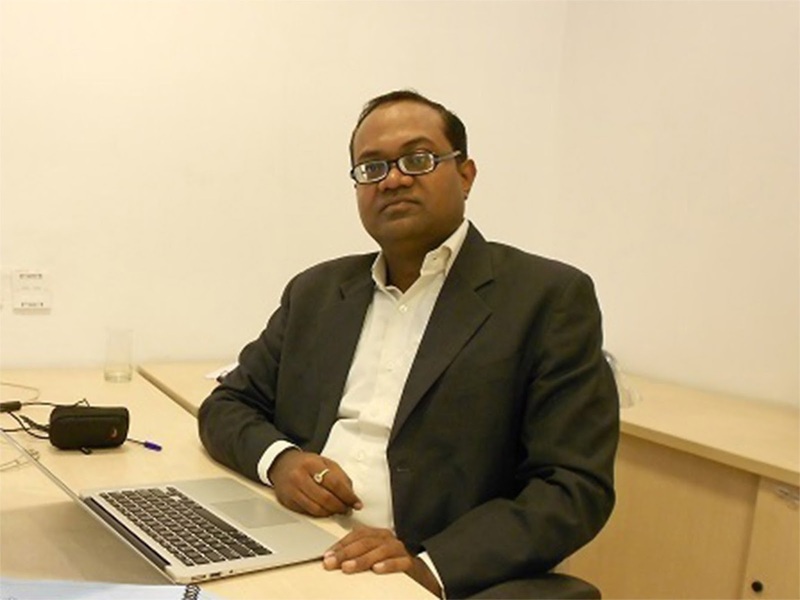 Cloud is all set to deal with the tactical problems that have been faced by the IT industry so far. Organizations simply need to a step ahead wisely and reach the cloud for a whole new experience!